We want to help YOUR Troop! Magic 93 wants to help your Girl Scout Troop sell cookies! We want to get the word out, and we’ll bring some prizes and fun in a 93 minute broadcast in your area on a date to be determined. Congratulations to our winning Troop, TROOP 32525 from MOUNTAINTOP! 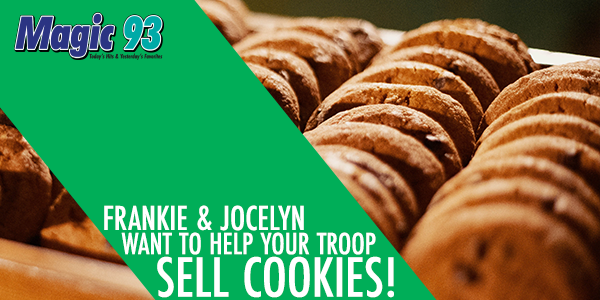 Join us at Turkey Hill in Mountain Top on Saturday, March 30th from 10 AM – 12 Noon with the winning Troop to come out and buy some Girl Scout Cookies! We will also have great Taylor Swift prizes, including a souvenir Reputation tour VIP box!